CA Sportline - what do we reckon? 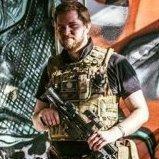 Alright folks, I'm looking for a cheap Mp5 that i can use for an extremely light loadout as I have to do a lot of public transport travel to skirmishes and a lot of walking - I'm looking at the CA Sportlines as an option; they're light (mostly plastic) and cheap which is ideal, they're also a good base for upgrades both internally and externally seeing as CA do most of the body parts I'd want to chanhe themselves. What I want to know though is how they feel - are they good quality pieces? How long do they last out the box? The walk from the station to the grange is a light stroll, even with a full rucksack, and a laden gun bag with a G36 and a MP7. Why not the standard CA ? even with a metal body they are still pretty light. That assumes the grange is the only site I want to visit Though I do primarily play there I want something for when I visit friends etc! The CA sport lines tend to be OK in my opinion, though I've only tried an m15 (m4) an Aug and an AK. Some people seem to hate them but I haven't seen any major problems apart from a broken upper received on an AR when it was fallen on. I would have no problems with buying myself one if I ever needed to. CA Sportlines are decent guns,much better than than other budget brands.Although it's Hong Kong, the build quality is pretty solid. I used a friends CA MP5k in a game once,pretty fun do use in CQB and you can do the HK slap without breaking the handle. Your other option would be a G&G Combat Machine range MP5. Same basic standard as the CA Sportline, but with G&G's improved reputation. ICS also have a range of Sportline MP5s, a bit more expensive,but not that much.I never used one,but I hear they're OK. Cool, glad to see there's some good feedback. I'm a big fan of ICS kit, but can't seem to find any of the ICS sportline guns ANYWHERE, aside from in clear/two tone. G&G I'm kinda unsure about based on the blowback, I don't really need or want it on this gun. Well Ed's G&G was/is brilliant, and I cant see why you cant disable the blowback without much trouble if needed. If you have UKARA I think you can easily order from Ireland,we have really good Suppliers like MIA and AirsoftEire,AirsoftEire being my favorite. I'd highly recommend the G&G, especially if you're not bothered about it being metal. The sports lines are made of Nylon Fibre and they feel great, not that far removed in feel from the metal ones. You can pick them up for around £130 as well. Additionally, if you're worried about the blowback being a bit crap and gimmicy - not travelling the full distance, jamming in the middle and putting unnecessary stress on the internals, then don't worry about it. G&G use a pneumatic system, the blowback is powered by residual air, the bolt travels the full distance (on the MP5s anyway) and since it's air powered, it doesn't have any direct connection to the gears or piston whatsoever so it doesn't add wear to the gearbox and physically can't get jammed in the middle. On top of that, it gives the gun a really great sound and it actually looks pretty good, as well as it also making the charging handle fully functional, which is awesome fun to lock back and slap down. If it weren't for the fact that the cylinder head portion of the gearbox was visible through the ejection port, people could mistake it as a GBB - Though there is no felt recoil. I'm firmly in the camp that blowback is a bit... gay, if it's merely for the aesthetics, but G&G have done a good job on the MP5s and it does actually add to the gun, I enjoy it. There's also the fantastic G&G hop rubbers in there, my MP5 can hop .40s to the same level it can a .20. It can probably hop even heavier than that, I've just never bought ammo heavier than that to test it. With .25s the performance is faultless, it comes shooting at around 320 - 330 fps on .20s, range is a good 40m or more and the accuracy is amazing for a stock gun. I've not seen anything perform better with no upgrades apart from a G&P M4. It's so good that it's the only gun I've ever had that I've not even fitted it with a tight bore and I have the Version1 Top Tech version of the MP5A4, so it doesn't come with a TB as standard like the V2s do - before anyone says "that's because it comes with a tb anyway." I honestly can't recommend it enough. First AEG I ever bought. Best AEG I've ever bought. I've never even opened the gearbox. Still got it, still love it. It just doesn't see much use anymore because of the L85 and me playing almost exclusively in woodland. The ONLY thing I dislike about it, is that it's incompatible with most MP5 external parts and for some reason, the rof with a 7.4v Lipo is stupidly sluggish, despite it being a good 700-800rpm with an 8.4v nimh. Ideally I'd like to front wire mine into a tac light handguard and fit a sliding, collapsible stock. Maybe also get the A3 receiver for a proper SAS embassy look. But the receiver is the only thing I've found that I could actually swap because the G&G tac light handguard has horrible RIS rails on it and the stock is the kind that still sort of sticks out a bit even when it's fully collapsed. They're also both £80 which is just stupid. Also, in response to WhiteDeath's comment above, ICS sportsline MP5s can be bought new for £100. Though I forget where from, I imagine you've been on the site already if you say everywhere is out of stock. I have a CA Sportline M15 (M4). Been fine for me. Used in regular skirmishes since June, had about 20,000 rounds through it. Completely stock inside and shoots consistently at 325 - 330 fps and I can hit a head sized target consistently at 25m. I'd say it had an effective range of 35 - 40m easily. No rattles or squeaks. I'd recommend them from personal experience, but don't have any experience of G&G or ICS. Well my M15's External Plastic Receiver alway's Snapped from the weight of the metal Barrel and from being still to whatever MPH to finishing in my shoulder it was too much for them although their Gearbox's are Great!